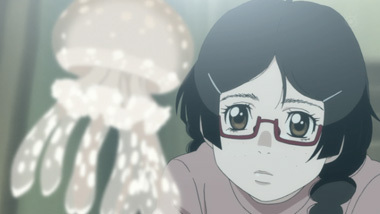 Tsukimi Kurashita is an 18-year-old jellyfish otaku. She loves everything about them - the shape, their colors, the way they flow. She draws them all the time and aspires to be an illustrator. Her knowledge of jellyfish is extensive, and with the Amars she finds solace. Each of the women living there has some fixation, be it trains, traditional Japanese dolls, or older men. 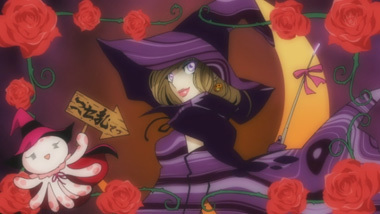 Kuranosuke Koibuchi on the other hand, is the exact opposite of Tsukimi. 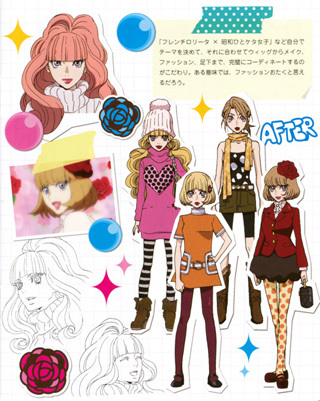 Fashionable, stylish, and feminine as can be. 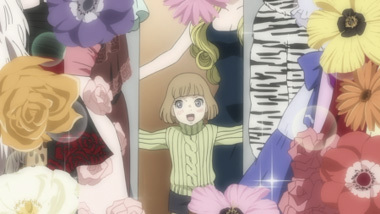 Kuranosuke is also a boy. 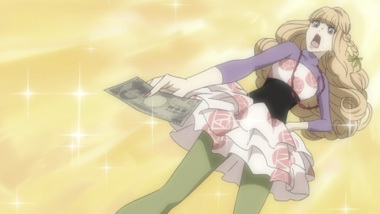 He cross-dresses to escape from his rich political family and generally upset them with his life choices. 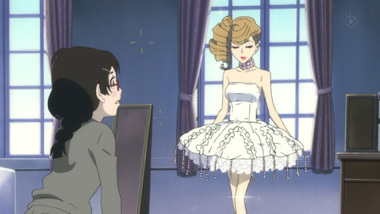 He would rather enter the world of fashion, creating elaborate and beautiful outfits. 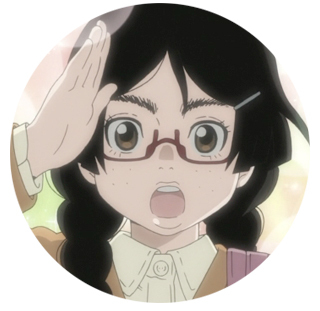 Upon encountering Tsukimi, his secret is revealed to her, but she promises to keep it from the other Amars. The major conflict is that the Amamizukan apartment complex is going to be closed down. Loving their home and not wanting to deal with shopping centers and attractive shoppers, the Amars do their utmost to fight the redevelopment. 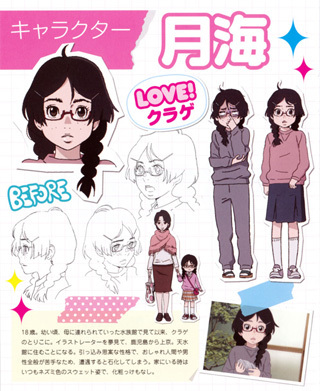 Kuranosuke also lends his abilities to help, but also has to deal with his family in the process. 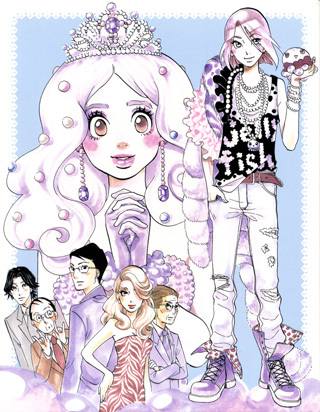 Much ado was made about the battle between "attractive" and "unattractive" people in Princess Jellyfish. Arguments about how women were portrayed or the way they dressed were thrown in all directions. All that really needs to be said is that this show handled things excellently, and honestly, felt refreshing in many ways. Takahiro Omori and the band of artists at Brain's Base did a great job bringing these characters to life. Their designs were bright and distinctive, and the animation never falters. The opening is one of the most entertaining and well-made anime openings in a long while, with excellent songs choices for it and the ending animation as well. This show is a wonderful experience if only for the music. The writing is enough to hold the series together, though it never really shines. But competent scripts are rare enough these days, so it should be mentioned. 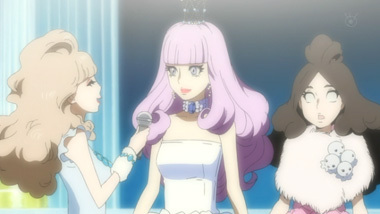 The pacing of the story however, suffers a bit as the story suddenly rushes to its conclusion to fit in the eleven-episode limit... a sad reality of TV anime that the writers were unable to overcome. 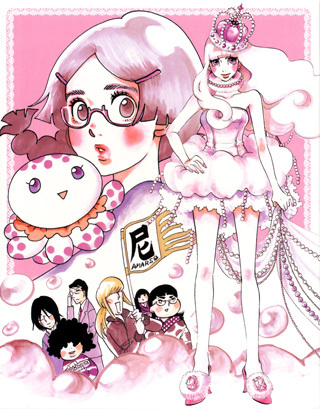 Despite those minor problems with the ending, Princess Jellyfish is an excellent show that toys with expectations and people's perception of men, women, and perhaps most of all, otaku. 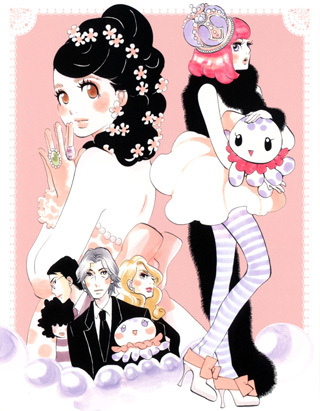 Vibrant and jubilant, Tsukimi and Kuranosuke go on an adventure of jellyfish, clothing, and fashion that will be an adorable addition to any anime collection. 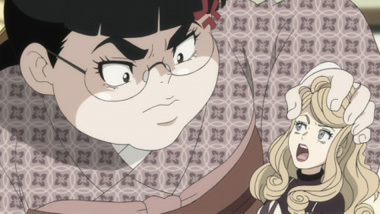 Below: Scenes from Princess Jellyfish. 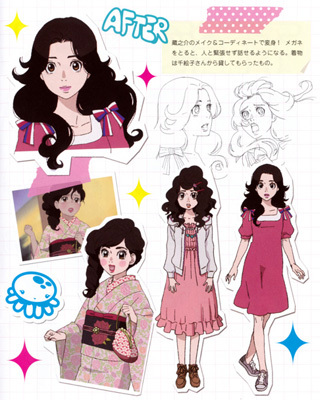 Below: Promotional illustrations for Princess Jellyfish.